Do you want more backlinks? What if I told you that you can actually get FREE backlinks that actually have a rather high Page Rank? Most people would be ecstatic over this news, I know I first was. There really is a place that you can get FREE backlinks and all you have to do is submit your PR2 or higher blog to the blog network at LinkAuthority.com. Link Authority is simply a blog network just like BuildMyRank, LinkVana and Blog Blueprint. The reason why I am recommending Link Authority over BuildMyRank is mainly because it is a free service that you can use. Being that you are submitting your PR2+ site, you will be getting articles on your site as well. 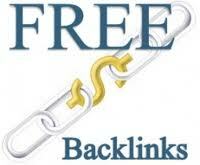 So the benefit of this is that you will get backlinks to your site for no cost and you will be getting free content. Getting free backlinks is great, however, if you don’t want to submit your site to their blog network, then you don’t have to. There is also a paid version that you can take advantage of for backlinking purposes. The way Link Authority is setup is to offer you a quota of so many articles per day. For example, you can buy a quota of 1 article per day for less than $10. That means that you are submitting 1 article for less than .33. If you think.33 per article is great news, then just wait. Link Authority also states that you have to write a 150 word article to get 1 link, however, if you write 301 words or more, then you can get 3 links. So, you are getting 1 high Page Rank link for less than .10 a piece. This is why I am in love with Link Authority? Do you know where you can get links for .10 a piece? Write Articles Relevant To Categories – One thing that you should do before you start writing is to take a look at what categories are there. The reason for doing this is to ensure that you write something that will get picked up. Since your article is only picked up by one blog, you want to make sure it is highly relevant to the category of choice and the blog that you link to. Add Popular Tags – At the bottom of the article submission page you are given the opportunity to add tags to the article. 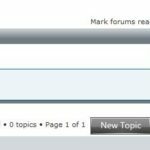 This is where you should add some article specific tags as well as some general tags. For instance, if you are writing about health or education, then put those down into the tag box. Doing this will give you a higher chance of being submitted to a blog relevant to what your blog is actually about. As you can see, there is not a lot to getting your articles approved other than having good content and the two items listed above. Now, if you are like most bloggers and want more backlinks, then you should really give Link Authority a shot, there is really no risk in signing up and see what it is all about. Adam Snyder is the owner or DormRoomCash.com where he teaches people how to comes up with different ideas to make money. Another thing he does is creates niche websites in order to make a passive income for himself. He does this through small site creating and creating simple backlinks. If you are looking for any extra income opportunities, then make sure you check out DormRoomCash.com when you have time. Getting free backlinks from high page rank sites is really cool. BTW, it’s really tough to get published (guest posts) in A listed blogs, so its better to go for link authority to get backlinks. high page rank no follow links is valid for one. so, please concentrate 5% work to getting no-follow links from high page rank sites.